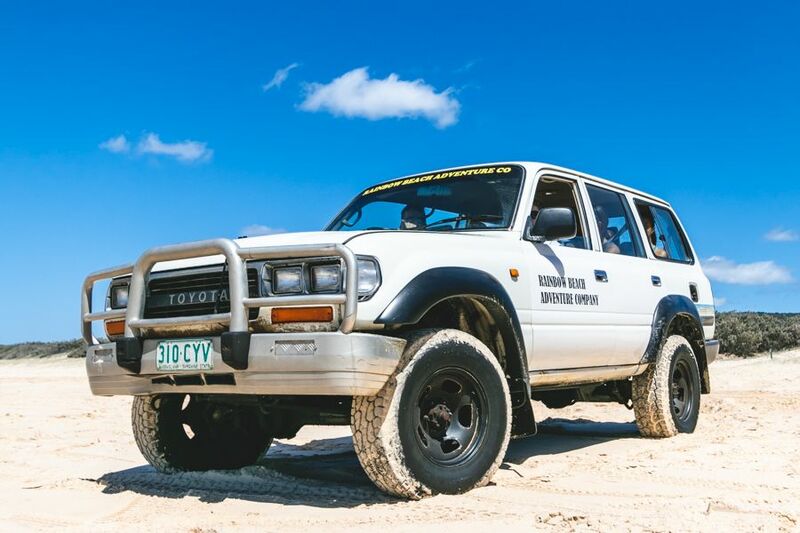 Explore Fraser Island with your own car hire and enjoy all the freedom that comes along with it! Rent a 4WD for 1 - 5 days and enjoy spending your time your way. Opportunity for an extended stay on Fraser Island! Choose your own accommodation to suit your style or choose to camp! You will have the freedom to plan your own itinerary for your trip to Fraser Island. You can make a plan that’s perfect for you and your timeline, ensuring you get to see the best of the island! We’ve listed some highlights that you might visit on your tour - the longer you stay, the more you will see! Basin Lake - Great swimming hole about the size of a football field! Remember that certain parts of the beach can't be driven on during high tide - please be aware of the tide times. Please note RBAC Fraser 4x4 Hire hire is available 361 days a year, subject to availability. 4WDs are provided with a full tank of fuel and need to be returned with a full tank of fuel. Max 5 people per car - drivers must be over 21 years old and hold/bring their current open drivers license! Everybody needs to watch the safety video before hiring Dingos 4WD vehicles. You will also need to bring along food and drinks from the mainland or purchase them on Fraser Island. The vehicles are 80 Series Landcruisers for 5pax. You will be given a set of terms and conditions by your provider when you pick up the vehicle. Guests must comply with all terms and conditions.